Home » Relationship » Steve Backshall Wife & New Family - Baby Son Separation; Why Stay Away? English naturalist, Steve Backshall was put in a difficult decision when his wife was about to give birth and his lifetime dream stood in front of himbut the hunk managed to save both of his treasures at once. 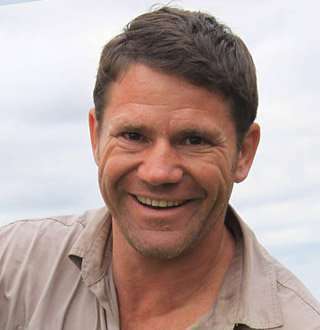 Steve Backshall is best known for his role as a television presenter for BBC TV’s Deadly 60, that is a British wildlife documentary program aimed at children and young people. Steve Backshall has worked with BBC as a part of the expedition teams in Lost Land of the Volcano, Lost Land of the Jaguar, and Lost Land of the Tiger. Born on 21 April 1973, Stephen James Backshall was raised alongside his sister in a smallholding in Bagshot that was surrounded by rescue animals. Steve attended Collingwood College in Camberley and Salesian College in Farnborough. The 45-year-old television presenter studied English and Theatre at the University of Exeter and biology at the Open University. It was in 1997 when Steve developed ideas of buying a video camera and going to the jungles of Columbia and made a pilot that he sold to the National Geographic Channel. It wasn’t long before Steve was employed by National Geographic Channel in 1998 as its Adventurer in Residence and he worked there for five years as a producer and presenter. Steve moved to BBC’s The Really Wild Show in 2003 and traveled from Tasmania to Cape Tribulation in the first series. After a few years, he co-presented Springwatch Trackers alongside Kristen O’Brien that was broadcast in 2007. And eventually, in 2008, Deadly 60 was launched aiming to inspire children to go outside and explore the facts of wildlife. According to sources, Steve Backshall has got an estimated net worth of $2 million that he amassed from his dedication to work and naturalist career. He collected the most fortune from his contribution to the TV Series, Deadly 60 and BBC television series Lost Land of the Jaguar, Lost Land of the Tiger and Lost Land of the Volcano. Steve earned his wealth from his children’s novels and other books like Venom: Poisonous Creatures in the Natural World, Wildlife Adventurer’s Guide, Predators, Deadly Diaries, and Deadly Detectives. The first time Steve met his Olympic record holder wife, Helen Glover was in 2014 at a Sports Relief Event. The pair started dating, and it wasn’t long when Steve got down on one knee and asked the cliche question. And the most unusual thing during the proposal was that Helen didn’t cry, but Steve poured out rain after building up adrenaline and emotion for a long time. The two got married in September 2016 in a Cornish clifftop ceremony, and it wasn’t long before they were showered with blessings and happiness when Helen got pregnant. 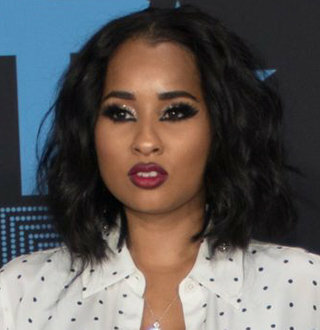 But sad news soon hit them when Helen suffered a miscarriage and lost one of her twins she was expecting. Amidst the grief, Steve and his wife remained hopeful for the remaining baby. Another big news hit them in the face when Steve was about to fulfill his life’s ambition, making 10 hour long episodes of Expedition for BBC. But he had to stay away from his upcoming family for a year, and Helen was due to have their baby in that period. And Despite the interference and difficult times they welcomed their son, Logan James David Backshall in July 2018 and Steve is now living a more than happy life with his wife and son.